So said one of my good friends to me today and I started to rattle off far too many ideas for her to take in. So I will endeavour to keep this advice fairly general. If anyone else reading this would like to contribute their thoughts please add them in the comments section of this post so that they can be referred to as well. 2. Start familiarising yourself with quick games that can be adapted to different ages and subject matter and don’t require resources. These can be found online and you may have picked up a few when Practice Teaching. 3. Find a copy of the Literacy and Numeracy continuums. Try to watch the videos that go with the online Numeracy continuum to become familiar with the language of Maths and see how experts work with students. 4. If you do find online resources e.g. animated picture books, Maths games, Youtube videos you can put their url addresses into sorted folders on a CLEAN USB and use them on interactive whiteboards … but don’t count heavily on technology unless you are familiar with the school and have their permission to use your USB on their system. 5. Collecting stencils of work to use is not the greatest idea because they are really not engaging and the students in one class are never at the same level. My classes used to whinge mightily about casuals who made them do one worksheet after another. I call it “death by stencil”. 1. Get there about an hour before school starts and have your casual number and details ready. 2. Try to familiarise yourself with the layout of the school so that you can find the toilets, staffroom and if you are on a playground duty ask about areas that are out of bounds. 3. Check how they wish for you to mark the roll. This differs from school to school. 4. If you are on one class for the whole day get into the classroom as soon as you can and look at the work samples, classroom rules and learning aids around the room. This may give you an idea of the type of work they are capable of and will help you to pitch your lessons at approximately the right level. Also find where they keep Maths equipment, mini whiteboards, scrap paper and whiteboard markers. 5. Find the class timetable and try to stick to it. Younger classes especially feel more secure when they are in their normal routine. 1. Try to learn names and use them. This gives you much better control. A good idea is to carry a disposable cup with a class load of ‘paddlepop’ sticks in it. Ask the students to write their names on these and instead of ‘hands up’ pull out names to ask questions. This way you are connecting names to faces constantly throughout the day. 2. Get them to tell you the class rules – use the ‘paddlepop sticks’ or they will all try to talk at once. 3. Write the plan out for the day so that they can see how the time will be spent. Keep some of the ‘best’ things for last because if they manage to achieve what you have planned this can be an incentive. 4. Ask them if they have any favourite games that they like to play. One activity you can do, is to get the students to write an explanation with rules and diagrams of an educational or sports game that they like to play. 2. Leave an outline of what you have done with the students that day on the desk for the teacher to read when they return to their class. This can be helpful especially if you leave relevant comments about behaviour and performance of certain students. Enjoy your time with the class and keep them busy so that they are engaged with what they are doing. Be prepared to change your plans and have other ideas up your sleeve because you may head off to a school expecting a Kindergarten class only to find that you have been put on Year 6. Be ready for anything and don’t be afraid to ask for help. Most of us have been there and done that and we want the best for the students and you. That is seriously some of the best advice I have ever read. To be honest, as a senior leader of the school I want casuals who can come in and take the class for the day (or time) and ensure students are safe, happy and learn. Unfortunately not many of the causal teachers I see are able to accomplish those goals and that is partly due to the fact that they do embark on a death by stencil journey with the students for the time they have them. Schools also have a huge responsibility in making sure that casual teachers can access the information you advised here Anne. Good classes that have routines established and displayed make it easier for the casual teacher to step in for the day and guide the learning. I hope yoir information has helped your friend and if he/she was half as good as you and did all of this I would have him/her at my school in a heartbeat. Love your work Anne! Thanks Jodi. Yes casual teachers’ tasks can be made easier by schools being supportive and understanding of them being unfamiliar with the students and the way the school is run. I always appreciated schools that gave me a map, a daily timetable and teachers who talked to me when I was in their staffroom. Thanks for these great thoughts and ideas Stacy. I really love the playdough idea and yes, drama is something everyone would love to have more time for. Its such a relief when the students have had a great day of learning with their casual teacher. Have some fun drama activities especially with those picture books. Students never get enough drama time and they really do enjoy it. Also can take a lot of time up during the day and they are generally engaged. In the note to teachers try not to list a huge amount of behaviour issues. Think about the really serious ones that the teacher has to know about and let the others go. Don’t forget to leave a list of positive students that really helped you. Math games are so much fun but make them really basic – you want kids to succeed and not be frustrated. If you have a car make a big box of playdough. Can be used in all levels – yes even stage 3 (they love it) and for so many different activities like “make me your favourite food or make me something starting with M” for the older grades. I totally agree with the no worksheets if possible. I just had a casual who did a great lesson on students designing a phone to sell for the World Cup – they wanted to share with me the next day. 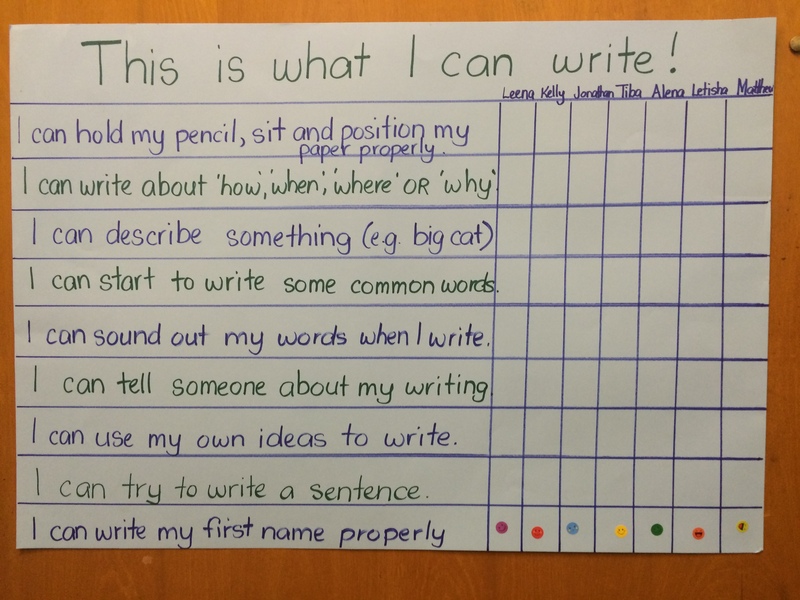 You want the students to be excited to tell the teacher what they did. Umm will try to think of any more from a class teacher’s perspective. ← Amazing classroom displays … just wallpaper?